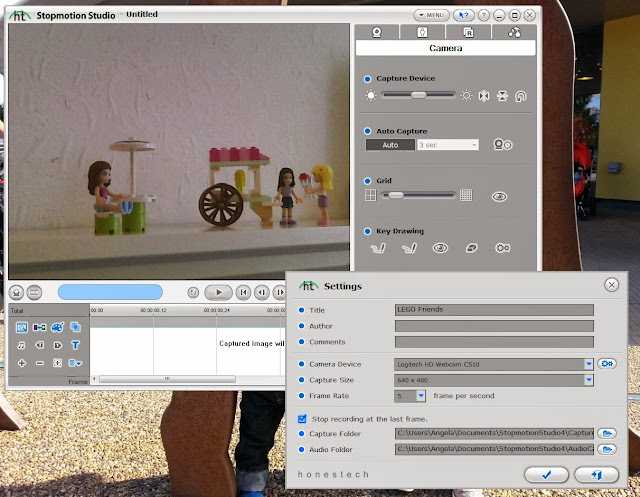 Back in September I've mentioned on my blog about the new Honestech's Stopmotion Studio 4.0, which we were excited to try out. October appeared to be busier than expected, but we finally got a chance to have a play with it. As we aren't really crafty, we decided to use one of our favourite toy - LEGO, to test this out. 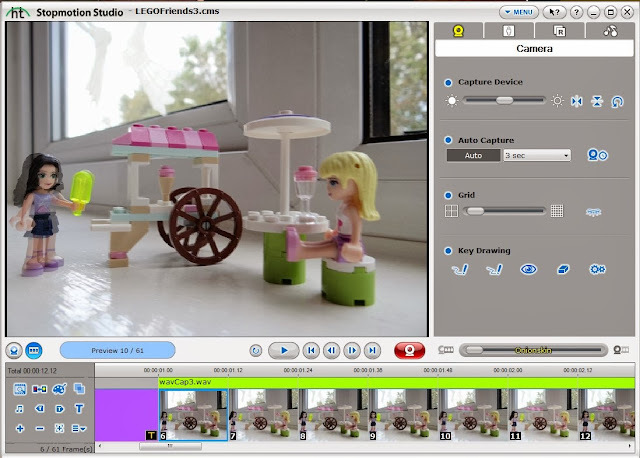 The installation of the PC software is very straightforward, and very soon you can start making your own stopmotion video! The one problem we encounter is that we don't have a Canon or Nikon DSLR camera, which works directly with the software, where like professionals, you can keep the camera plugged in to your laptop or computer with the stopmotion studio running, and every picture you take (by pressing the spacebar instead of the camera button, making it so much easier to take the picture AND without accidentally moving the camera!) will be uploaded instantly to the software, allowing you to take pictures while using the software features at the same time, for example, controlling the transparency level before you take the picture. You can also use a pc camera (webcam) for this, but the quality is lower than using a professional camera. I gave our HD cam a go but the pictures seems quite blurry. As we didn't have the specific camera (others are recognised as external harddrive, so the software couldn't recognise them as a camera), I used my SONY Cyber-Shot to take the images first, edited them and imported them from within the software. It's not as straight forward, and it does take part of the professionalism fun away, but it's still amazing to see your pictures being played together and being turned into a video clip (and you can change the running speed for it, mine was 5 frames per second)! On the other hand, you can still use the features from the studio to edit your frames! If you are quite good in drawing, you can try to rotoscope your images, which basically creates an animated frame by copying the original frame with drawings, and replace the original frame with the animated one. You might have seen it in some movies where a still frame of the character appears and slowly changed to a sketched version before the scene ends, and it's just like that. Unfortunately our drawing skill is fairly poorly so we only did a sketch in the above screen to show you what it's like. Like real movies, you can take images with a plain background (ideally blue or green), and change that background later with the studio to something else. Perhaps your character need a visit to the moon, so all you need to do is pose your character like he/ she is on the moon, and later on find a suitable moon picture to combine the 2. The stopmotion studio has a built in image editor that you can use to edit your pictures with (obviously I didn't know when I was editing my pictures and I used something else, but hey, never too late! ), there are quite a lot of things you can do with the editor so you don't have to worry about not having an editor yourself! We had a go with our LEGO Friends minifigures, creating a simple scene where Stephanie has ordered an ice lolly and Emma was walking from her ice-cream cart to where Stephanie is, to give her the lolly. It is a very simple clip for review purpose, but it was a lot of fun making it! There was lots of planning involved. We talked about what toys to use, the story (which became so elaborated we had to scrap the whole plan and stick to something easier! ), how and where each character should move in each frame, whether the camera angle should change, etc etc. So this is what it's like to be part of a film production team discussing a real movie! Overall we had fun making the video. It's really cool watching your images turn into a video, although it does take a bit of patience and care when you take the pictures, as you'll have to move the characters one step at a time without moving the set (something we learnt from watching LEGO Batman The Movie: DC Superheroes Unite DVD's special features, where they made a stopmotion video with LEGO Batman playset for the movie, it was awesome!). If you look closely enough at our video, we did accidentally moved the ice-cream cart and chair, and that tiny move away from its original position is obvious enough on the clip. While testing the software out, we did encounter some delay in running the preview script issue, causing a misalignment of the video and audio clip. I had a chat with the very helpful product manager, and we both agreed that it could be because I was overworking my computer at the same time with other things running in the background. So to make sure that your stopmotion studio experience is smooth, make sure that your computer fits the minimum requirement, and avoid opening other programs in the background, especially image editing ones. 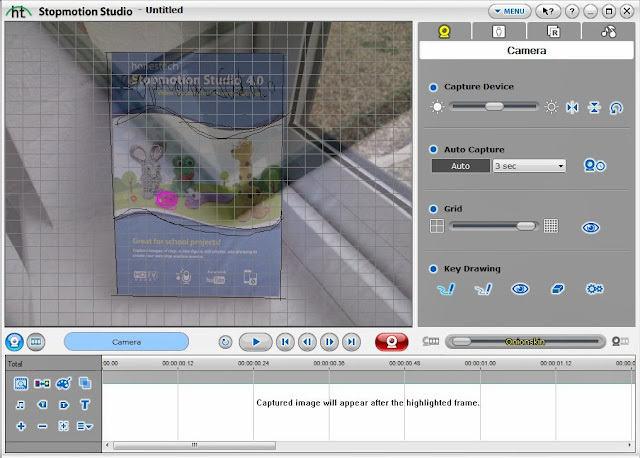 I think it's a great software especially for school kids, and they can make fun and creative school projects with this. As long as they have the right computer/ laptop to run the program, a webcam (if they don't mind the quality) or a good camera (HD if they require such result), they can set up their own stopmotion film production company in no time!